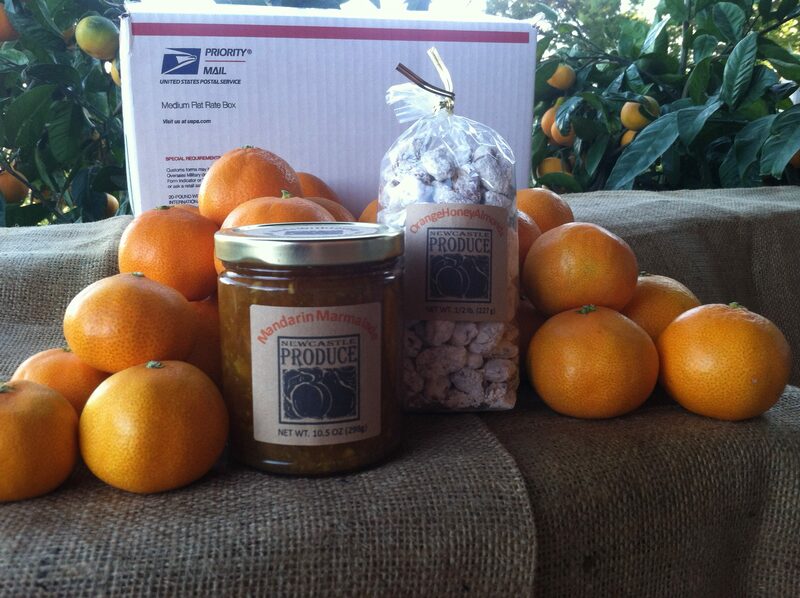 Six pounds of juicy sweet Satsuma Mandarins plus a jar of our own Newcastle Produce Mandarin Marmalade and a one half pound bag of Orange Honey Almonds tucked in the shipping box along side. Price includes shipping. Unfortunately, we are unable to ship to Arizona this year. All mandarins ordered after December 19th will be shipped on December 26th.